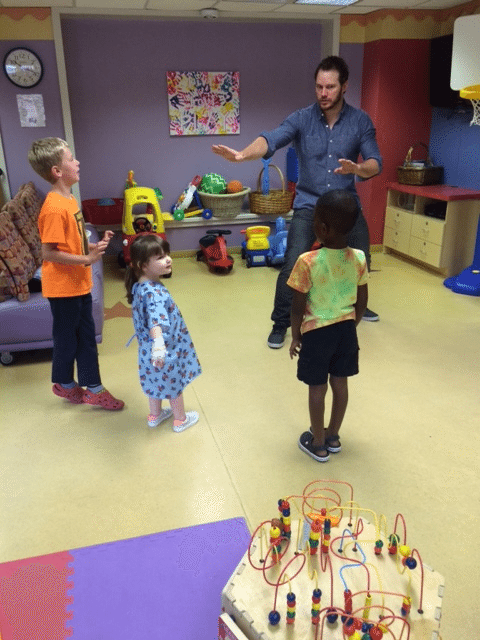 On June 20, 2015 actor Chris Pratt, best known for his role in Jurassic World and Guardians of the Galaxy, took time out from filming his new movie The Magnificent Seven and paid a visit to Our Lady of the Lake Children’s Hospital in Baton Rouge, La. 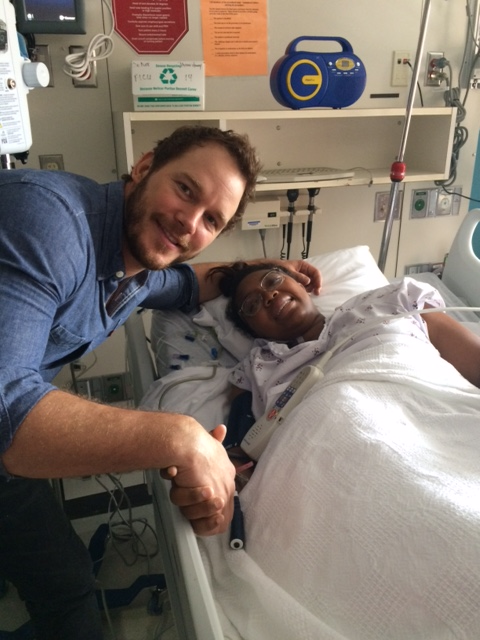 The children were all smiles as Pratt signed autographs for the patients, had fun conversations with them by their bedsides, and posed for pictures. The hospital offered thanks to Pratt for lifting the children’s spirits by visiting and handing out Jurassic World goodies. He even reenacted his now-famous raptor-training scene from the movie for the kids and taught them how to train a velociraptor. 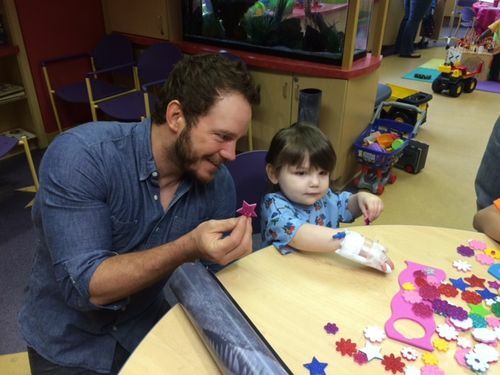 This is not the first time Pratt has visited a children’s hospital. Last year he surprised kids at the Children’s Hospital Los Angeles by showing up dressed as a character from another role. 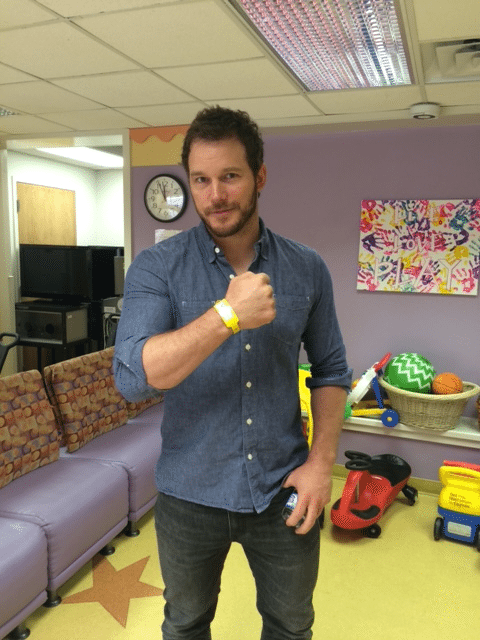 He also participated in a Super Bowl bet with fellow Marvel star Chris Evans, which resulted in visits to children’s hospitals in both Seattle and Boston, earlier this year.